Miranda Kenneally did it again. I did not see that end coming at all. I guessed something would happen but not how it ended up happening. Yes, I am being very vague because I don’t want to spoil the story for anyone. I love that Kenneally writes stories that can seem cliche and adds her own twists that make it new and refreshing. 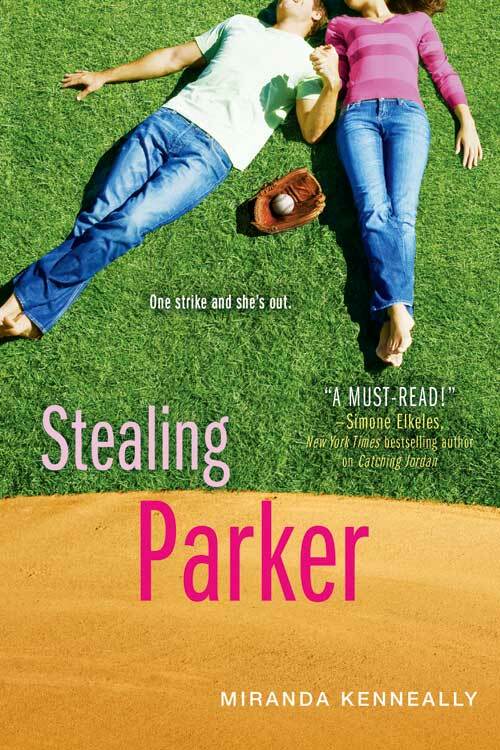 The theme of sports within her books is something I like a lot. I think that hasn’t been done in YA, or at least not recently. I adored that Will and Parker were characters that were relatable. They both have crappy family issues going on. Both are not experts at dealing with difficult life circumstances but together along with some good friends, they figure it out. Somewhat, but that’s how life is. The ending isn’t perfect but it is believable. I love the open-endedness at the end of the book. Here comes the bad stuff. I am sad to report that I will stop reading books written by Miranda Kenneally. Why? Because I don’t like an author trashing my believes. I dislike that she is making Christians look really bad. Yes, there are hypocrites within the church. Yes, there are some people in the church that are judgmental. What irritated me was the fact that the character, Parker, made the assumption that all Christians were the same. You may say, “but Veronica, Parker goes to another church and they don’t treat her like crap?” Well, Parker’s reasoning in the book is that they don’t judge her because they don’t know what happened. If they knew, she would become a social pariah again. It seems to be that the Christian characters being portrayed in the book are what I would call “Cultural Christians,” and not the real deal. The Christian characters in the book also disregard the bible and it is all about your personal relationship with God. Actually, it is supposed to be about both. Another thing I disliked was Parker’s dad and his inability to stand up for himself. He seemed to read the bible so much in the book. I guess he forgot to read the book of Joshua where God calls us to be brave and not to worry because he will always be with us. It seemed to be that Parker’s dad was not being brave at all but was hiding behind the church as an excuse not do to anything in regards to all of the family issues. Okay, my rant is over. Overall, the story line was good, but I hated the incorrect portrayal of Christians. My reviews are a combination of the writing and my personal opinion on them. That’s how I calculate the rating. 2/5: It had some redeeming qualities but overall, not a good book. 3/5: I liked it (A fun read). 4/5: I really like it, but something was missing.